On November 26, 2018 there will be a better way for hunters and anglers acrossOntario to get their Outdoors Cards and hunting and fishing licensing products. "The new fish and wildlife licensing service that we are launching inNovember will make getting outdoors easier for hunters and anglers. The service will be easy to use, with new features like a mobile LicenceSummary and a single Outdoors Card,” said Jeff Yurek, Minister of NaturalResources and Forestry. From November 19 to 25, 2018, there will be no fishing or hunting licences for sale. From November 19 to December 31, 2018, licences requiring a game seal will not be available for purchase. All fishing and hunting licences not requiring a game seal will be available for sale. Plan ahead: all 2018 licences requiring a gameseal need to be purchased before November 19, 2018. As of January 1, 2019 – all hunting and fishing licences will be available forpurchase during their regular timeframes. For all the information you need about fishing and hunting licences in Ontario,please visit Ontario.ca/outdoorscard or you may callNatural Resources Information and Support Centre at 1-800-387-7011. Copyright © 2018 B.A.S.S., All rights reserved. 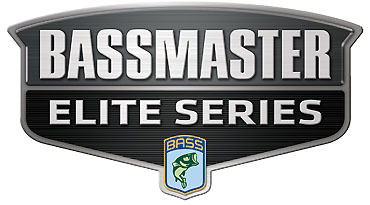 Josh Bertrand wins Bassmaster Elite with a 4 day total of 95.3 Lbs. Josh Bertrand wins with a 4 day total of 95.3 Lbs. First day weigh in resulted in 52 Bags over 20LBS thats almost 1/2 the field! 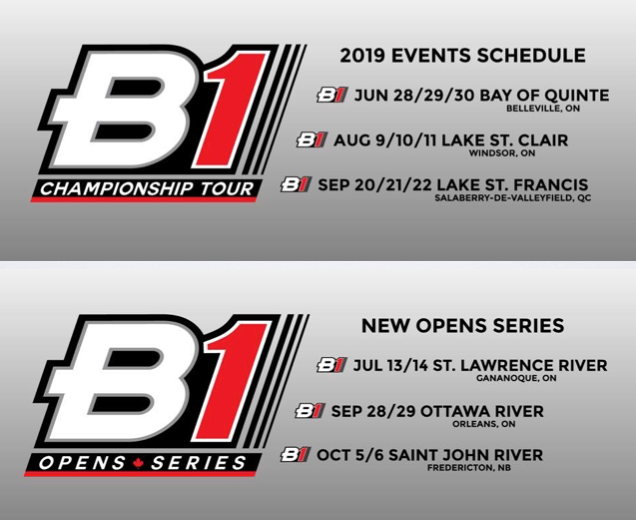 Organizers of the recent Berkley B1 tournament at Lake Erie were forced to change the outcome of the tournament four days following its conclusion after it was discovered a late penalty was not assessed against the winners of the two-day event. The team ofPerry Poirier and Caitlyn Gilmet were deemed the winners on Aug. 15 after tournament officials determined a two-minute late penalty (worth one pound) was not applied to the results of the team of Matt Pezzetta and Daaron Joyner on the final day. The tournament was contested on Aug. 10-11 out of Port Colbourne, Ontario. Pezzetta and Joyner were initially credited with a two-day total of 44.78 pounds, but after other competitors alerted tournament officials of a possible discrepancy related to their arrival time, it was discovered the Pezzetta/Joyner team was mistakenly listed under the wrong flight on the official check-in sheet. Rather than their names being listed with the flight due to check in at 3 p.m. on day 2, they were listed with the 3:10 group. When they checked in at 3:02 p.m., tournament officials didn’t notice the error. Poirier and Gilmet, the leaders after day 1 with 24.35 pounds, finished with 44.44 pounds. After the penalty was applied, Pezzetta and Joyner had 43.78 pounds. Ben Woo, the president of the B1, said the organization realized the mistake after an internal investigation. Woo said as more anglers reached out, the level of concern grew that something was amiss. Woo said a thorough review of the official documents was done, including the check-in sheet with the times marked on it. Woo said his organization deserves the blame for the mistake. The tournament started with 51 boats and was cut to the top 25 after day 1 with six other boats also heading back out on day 2 to compete for points toward their season total. Woo said he was in a boat with another tournament staffer both mornings for blastoff while the staffer held up a dry erase board with each flight’s check-in time written on it – 3 p.m. for flight 1 and 3:10 for flight 2. Woo said that Pezzetta and Joyner were “upset” when informed of the organization’s error, but that he “expects the utmost cooperation” from them in arranging for the boat to be delivered to Poirier and Gilmet. Woo said he and his staff will thoroughly review their entire tournament operations process from start to finish in an effort to eliminate the possibility of similar errors occurring in the future. Neil Deleeuw & Brent Cescan Win 1000 Islands open event at Portsmouth Harbour in Kingston Ontario with a three day total weight of 75.40 Lbs.! FLIPPIN, AR (December 1, 2017) On December 1st, some fifty years after legendary boatbuilder, Forrest L. Wood pulled his first hull from the mold, an announcement for a new generation of fishing boats was made at his Outdoor Sports Gallery in Flippin, Arkansas. 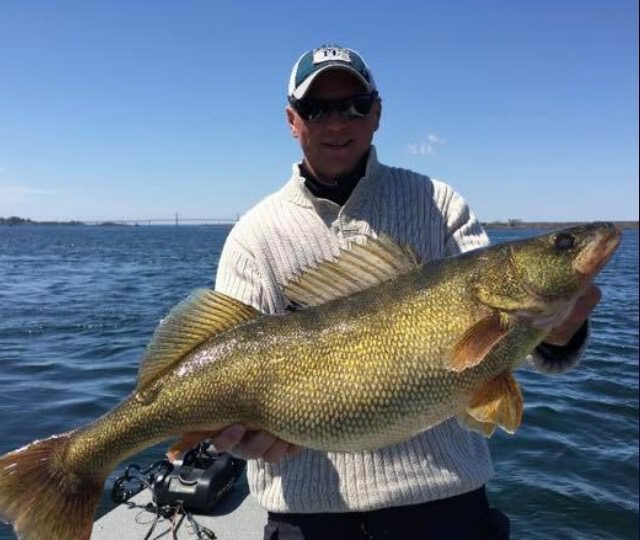 Surrounded by decades of fishing history and an enthusiastic crowd of anglers, employees, media, and other well-known personalities, the president of the new firm, Keith Daffron, unveiled the name, directions, and location of the much-anticipated company. With the first models expected to be introduced in just a few months, Daffron emphasized the extensive dedication of the firm, “From original design and engineering to hand-building total performance machines of exceptional quality, we’re looking forward to sharing a full line of products that complement the confidence and expectations of today’s anglers.” Reinforcing that statement, the company confirmed that each model will include a broad array of customizable choices related to outboards, electronics, and other features. The ultra-modern manufacturing plant for VEXUS fishing boats and trailers is located at 727 West Industrial Park Road in the group’s long-time hometown of Flippin, Arkansas.